Our Sunday Service on Remembrance Sunday, 12th November, will be at 9:30am in church, followed by a Service of Remembrance led by Fr. Chris at Clayton Park Cenotaph at 10:50am. Our Reader Mark will also be leading a Service of Remembrance at the Phillip's Park Centotaph, gathering for the silence at 11am. Please note the earlier time of our service. 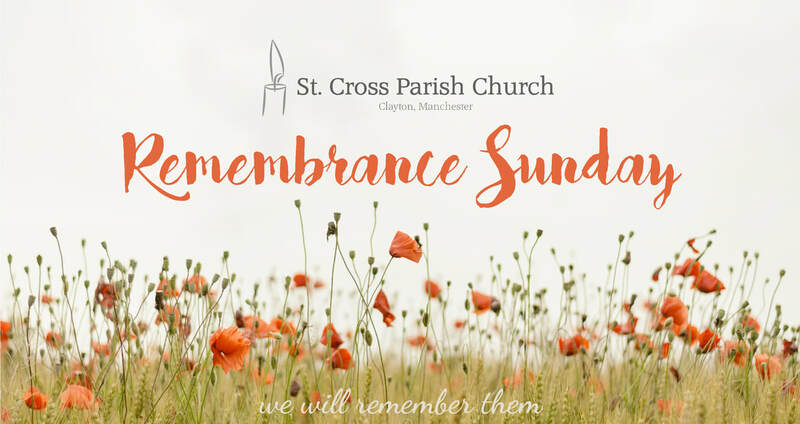 Our Sunday School will not run this week as we would like all the children to be in church to participate in the Remembrance Service. There will be an extra Sunday School session the next week.